With so many different cosmetics companies out there at the touch of our fingertips, how does one decide? If you are into earth friendly products, then Rhyme is an amazing choice! Rhyme Cosmetics are: Created In The USA, Natural, Gluten Free, Vegan and Cruelty Free! 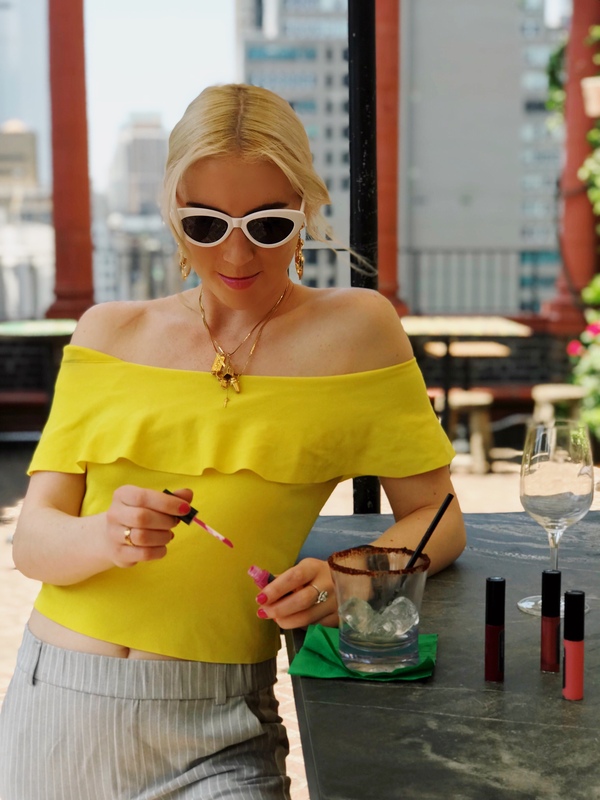 Their lip gloss applies to their motto of being “reminiscent of the glittery nights of NYC.” Nothing feels better than applying something to your face knowing that it is a natural product. These glosses gave me a subtle shine, and a hint of sparkle. The color palette ranges from golds, to pinks, reds, and browns, accommodating every skin tone. Asdie from lip gloss, Rhyme also has eyeshadows. These colors are also so vibrant! Try out something new and affordable with Rhyme, starting at $10.00! Aside from gloss and eyeshadows, there is also mascaras, eyeliners, cheek tints, brushes, bronzer, and luminizers (which can be used on any body part).